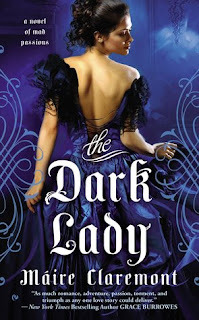 Maire Claremont is embracing the dark side of Victorian London with this first installment of her Mad Passions series. Our heroine, Eva, isn’t mad, but after what she has endured, no one hesitates to believe her late husband’s brother when he claims otherwise. Not only did her husband Hamilton die, but she lost their young son shortly afterwards. Evil brother-in-law had her committed to a madhouse, where she has been locked away for the past two years. The conditions Eva is forced to live with are subhuman. The women are drugged… abused… violated. And she would have stayed there to rot, if not for the return of her childhood friend, Ian. As children, Eva, Ian, and Hamilton were inseparable, the best of friends. The were all raised by Hamilton’s father, who set up the betrothal of Eva and his son, before anyone was old enough to know their own hearts or minds. Ian was the golden boy, and Hamilton became increasingly jealous and bitter that his father seemed to prefer his cousin. The insidious feelings transformed Hamilton into a twisted man, which ultimately led to his own death. Ian has always loved Eva, so when he saves her, his heart can’t help but beat for her. Yet he has so much guilt wrapped up in Hamilton’s death (and about the fact he wasn’t there to save Eva sooner) that it cripples his ability to give in to his feelings. Eva needs him, though, to help her beat her forced addictions… to elude her brother in law and the fiends hunting her from the asylum… and to prove her sanity. It was so angsty and dark. I really enjoyed the vast majority of the book. The conditions in the madhouse were absolutely chilling. And what was done Eva was heartbreaking. But in contrast, the tentative steps Eva and Ian take toward love and solace are so satisfying. Ian is so utterly devoted to saving Eva in every way, to keeping her safe forever. And she manages to find this inner strength, to rise above the horrors she has endured. Both are so damaged by the past. I got so wrapped up in reading it. It was very engaging. Overall, I did like the book. I liked that Clairmont wasn’t afraid to “go there,” especially in the first half. And I am very intrigued to read Mary’s story. There is so much great material to mine from among the women in that asylum.